Online app, where users could send a personalized video Christmas Card to their friends. The background Vereia is a brand with long history and traditions and for their Christmas campaign they wanted to use Bulgarian Koledari, who will convey Christmas wishes from one user to another. The idea First, users have to think of a friend they want to greet. Then they can choose from three different wishes and personalize them by filling 2 blanks in the text. The message is sent either by email or shared on Facebook. 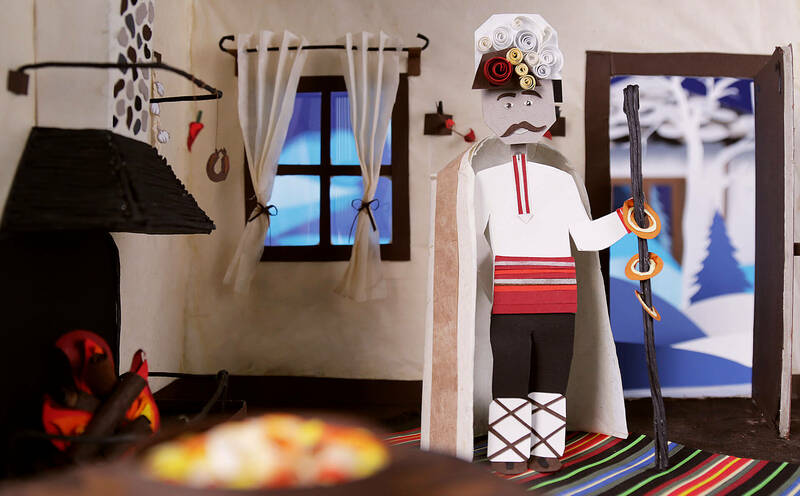 When the friend clicks on the link, a video card opens, showing a traditional Bulgarian house. The Koledari enter the house and “sing” the personalized wish. The execution To represent the Koledari, we decided to make something that hasn’t been done in Bulgaria till now – a papercrafted design. 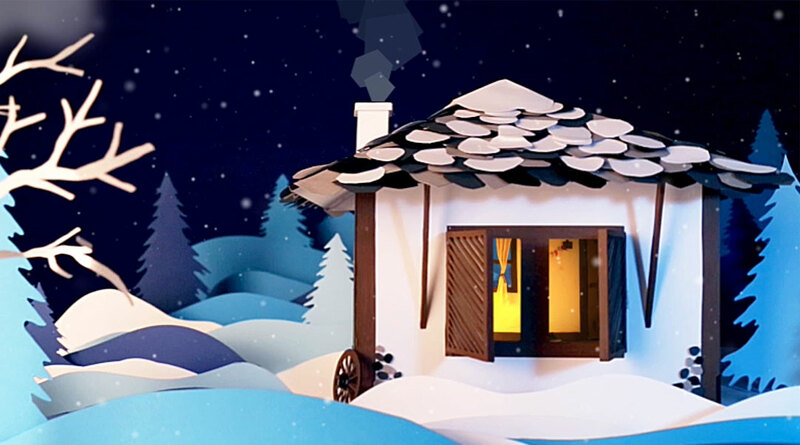 We used only paper and cardboard to create the outside scenery with trees and snow, the house with everything in it – a fireplace, a Christmas tree, a table and so on. The Koledari were also made by paper. Afterwards, everything was photographed and digitalized to create the fairytale video. Every little detail is made by paper - even small and detailed objects like the drapes, the garlic, and the ornaments of the Koledari. This is how the video card looked like with the personalized message “sung” by the Koledari.